Lots of people ask David Moore what a real estate IRA is. As he explains in the latest post in his popular blogcast series, it’s a more a description of what you want to buy. And that’s where you want to be careful. 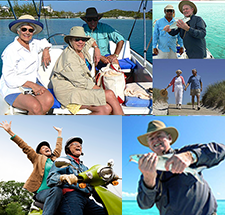 Today we’re talking with David Moore, co-founder of IRA Advantage, a firm that specializes in truly self directed retirement accounts. David, what’s involved in a real estate IRA? David Moore: Well, a real estate IRA, a self directed IRA, they’re all just terms that describe what you really want to buy more than anything. So a real estate IRA is no different than a gold IRA, and that’s no different than a traditional IRA with any custodian. So if we look at the bare bones difference, we’re just changing custodians from one that doesn’t allow you to do what you want to one that does. And since real estate is not prohibited as an investment, it’s therefore allowed. So, in a market, as we’re seeing today, stability is typically in hard assets, and real estate’s a hard asset. So that’s why we have a “real estate IRA,” a checkbook IRA, or a gold IRA. It’s just really more a description of what you’re going to buy than what it actually is. Do you see any changes coming to real estate IRA’s? David Moore: Well, I think there’s a flight to hard assets. I think we’ve got a situation where we’ve got the ups and down of Wall Street make people nervous, I think we’ve got a situation where real estate, tangible asset, it’s not perceived to be a liquid asset, therefore it is inherently a more stable thing, whether it’s going up or down it’s not going to see the whoop-de-doos as much as you might see in other investments. So when we’re looking at the real estate I think we are going to see changes, and I think with real estate IRA we’re going to see more pressure on it. You know, my phones are lighting up more. I think we’ve got the situation where people are just looking, they’re looking for other things they can buy, things that give them stability. The big questions are they often want to do things that are considered prohibited transactions. They want to buy a place in college for their kid to go to school, they want to buy a place for mom, they want to buy a place at the beach to go use. And all those things are prohibited transactions. You can’t personally benefit, you can’t personally use that property. Now, if you and I were brothers, the funny thing is you and I could loan each other money, or we could buy each other houses with our IRAs. Siblings are not disqualified parties. So rarely, when we’re looking at real estate investment, rarely is the investment a problem. What causes people problems is transactions where they’re going to have some personal benefit, or the plans going to have personal benefit. We’ve talked a little bit about sweat equity not being okay, but that’s a common one. We have lots of people call, coming in from seminars on flip that house… if anyone out there’s ever heard an ad for flipping properties, seen an ad, or gone to a seminar. I mean they’re pretty plentiful these days, and the bottom line is typically people want to work on those properties, but if you’re using retirement money, you can’t do that. So, you know, if I see changes I think as this whole process is more accepted and more prevalent, we’re going to see more adherence to the rules. I think there’s going to be a situation where there’s more education, more people in the business, more people getting information out. So that’s the difference I would see going forward. Thank you David. Listeners may call 503-619-0223, or can visit IRA Advantage for more information. 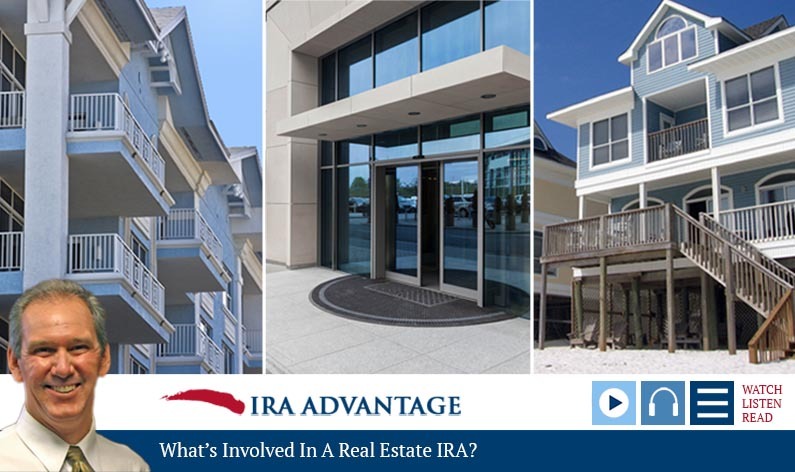 Although a real estate IRA, as David notes, just describes what you want to invest in, he doesn’t hesitate to point out that there are a number of things that may make for a prohibited transaction. Be sure to give the professionals at IRA Advantage a call if you have any questions!